The proliferation of open-source hardware and software has made do-it-yourself electronics accessible to both professional electrical engineers and newbies. Today we’re just at the start of an exciting DIY revolution that promises innovation, adventure, and new social, creative, and business opportunities. How will you get involved? In this essay, Adafruit founder Limor Fried offers her thoughts on the present and future of open-source technology. I’m an MIT-trained electrical engineer and founder of Adafruit Industries, an open-source hardware (OSH) company in New York City. Normally, I tell people that we design and manufacture electronic gadgets—mostly kits and parts for students who are learning to become engineers—or project packs for people who didn’t realize that they wanted to get into electronics. But really what we do is teach, and we do that by creating OSH. Every design we make is fully documented and given away for free—to anyone, for any purpose. But we also sell completely assembled designs as products. 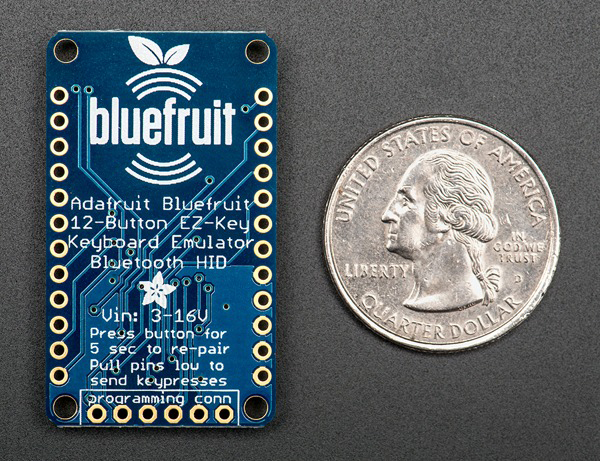 Most people just buy from the Adafruit store or from one of our many distributors, but there are still thousands who look at what we create as points of origin for their own businesses or products. Another way to put it: we’re basically like a test kitchen with a restaurant attached to it. We come up with new dishes, write the recipes up for others to follow at home (or in their own restaurants), and also serve up the dishes to those who don’t have all the equipment and ingredients—they just want to chow down. Other aspiring chefs look at our videos and recipes and adapt them for their own kitchens all over the world. And, once in a while, those same cooks turn around and give away one of their techniques or recipes to the community. Not everyone gives back, but that’s OK. Enough people contribute to create a vibrant culture of sharing. The best part about talking about OSH is how easy it is. So much has happened with OSH in the last few years that it’s not like I need to sell a pipe dream. It’s not some “experimental future” or “speculative fiction” about what could occur. OSH is already happening, so all I have to do to predict its future is to accurately describe what’s going on right now. But first, a brief introduction. Nearly everyone knows about open-source software (OSS). Sure, you may not be a coder, but you’ve used the Internet, which is pretty much fully made of OSS: websites running the ubiquitous Apache webserver software, displaying customized sites written in Ruby or PHP, drawing on pools of data stored in MySQL databases all running on server computers running the open-source Linux operating system. The fantastic thing about all this free OSS is how it has helped proliferate the Internet, improving the functionality of the web through rapid mutations in code (that’s the free-as-in-speech part) and driving down the cost to commodity levels (that’s the free-as-in-beer part). The commodification of the Internet—that is, the marginal cost of an blog or email account is so low that it’s essentially free—and indeed nearly all computer software and hardware would not be possible without OSS. OK, so that’s the state of the Internet as of circa 1995. Although the details have evolved, the essence of OSS is the same. But something interesting started happening a few years ago in the hardware world (i.e., atoms instead of bits): stuff started getting both complex and cheap. Suddenly, everything had a microcomputer inside of it, and if you had a microcomputer, you needed data to crunch. The market for sensors—what would normally be shoved into extremely expensive military hardware—started ballooning. (When I was in college, a triple-axis accelerometer motion sensor would cost $60. Now it costs less than $1.) Once low-cost sensors and easily reprogrammable logic chips started flooding the market, online communities of engineering geeks started to take notice. 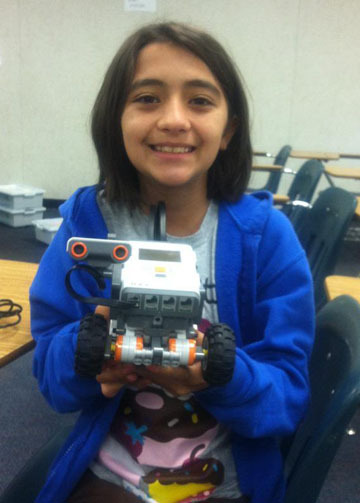 Engineers start using what they had learned at work to build hobby projects. The parts were finally cheap enough. And as a result, they started laying down the groundwork: compilers, simulators, and toolchains. That was the mid-1990s. Soon thereafter, geek artists started taking a look and liked what they saw. They started designing interactive art, building on some of the great electronic art concepts of the 1970s. And finally, non-geeks had a crack at it. Complex electronics and electrical engineering went from something requiring years of differential equations to weekend fun. While all this was happening, something cool began occurring. 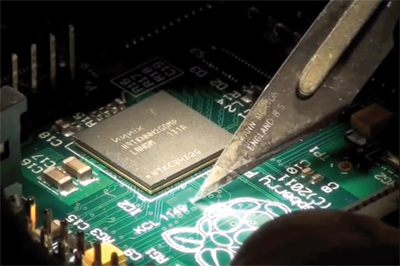 Just as code geeks created OSS to help commodify the Internet, solder geeks decided to apply the same principles to the creation of hardware (both mechanical and electronic). They started sharing schematics, CAD files, and layouts on social websites. Today, designers use a variety of sites (e.g., Instructables.com, Thingiverse.com, and LetsMakeRobots.com) and via various social services (e.g., Flickr, Twitter, Facebook, and Google+) to give away inventions and post tutorials and instructions for free. The first response we can have is this: OK. Free and OSS erased the costs of software while also increasing demand (and thus lowering the price) for desktop computers. Then followed laptops (say, OLPC, which runs exclusively OSS) and finally cell phones (e.g., Android). So, we’ll also see OSH reduce costs and simultaneously speed up iterations of new and better devices by separating the IP control (say, patents) from the ability to manufacture. There’s also another response we can take to the proliferation of OSH. Not only is it making it easier than ever to design and manufacture original products to fit a group’s needs, it’s also providing a broad curriculum to the world. Someone who has the desire to learn how to build and repair electronics will not learn much by taking apart a modern cell phone—everything is too small, poorly documented, and hidden. But with OSH, documentation is an essential part of the process—describing why a certain component is chosen and possible alternatives gives insight. The student is empowered to trace the design from thought-process to mathematical analysis to specifications to fabrication. Let’s consider some examples of what is happening in OSH right now. First of all, I’m sure you’ve already heard about 3-D printing from MakerBot. It used to be a technology only available to high-end prototyping houses that could spend the tens of thousands of dollars on both machinery and upkeep. But then about five years ago, a few different groups such as Fab@Home and RepRap decided they wanted create low-cost home versions as well as make the projects OSH. So they gave away all the plans with the hopes that others would build, improve, and proliferate the basic plan of low-cost 3-D printing. Now there are over 100 low-cost 3-D printer design variations available for anyone to make. In addition, a massive community is constantly improving the quality, lowering the price, and simplifying things. It’s possible that within a few years we could see 3-D printers that cost $100 and are built of common hardware store parts. Another example that has promise is the Global Village Construction Set, which is a “manual” of simple, easy-to-repair construction equipment. Instead of high-cost specialized tools from John Deere or Caterpillar, each of a dozen machines can be fabricated using basic steel welding, electrical wiring, and some basic common components. The hope is not that it would replace the many powered tools already available, but that it would enable people to approach the design of new tools without fear that they had nowhere to start from. That is to say, by being broad and simple, it can encourage specialization when needed, whereas most equipment manufacturers would not be interested in selling something unless they had tens of thousands of customers. Finally, one of my favorite projects is the Dili Village Telco project. There are no phone lines in the East Timor village. There is a cell network, but it’s expensive and not very useful for making calls within the village. David Rowe, a telephony engineer, designed a sort of “micro cell” so that the Timorese in the village could use regular phones to call each other, basically like a little version of AT&T. Rowe designed the very complex hardware, which not only has to work but also has to work well in the difficult environment of a village without cables or consistent power. What I thought was most interesting about the project is how he was giving away the years’ worth of work, posting up schematics, DSP code, filters, and more with the hope that some company would come by and rip him off. The best thing that could happen for the project is to have the design mass manufactured because then he could get on with the work of deploying and configuring the network boxes instead of figuring out how to get them made. 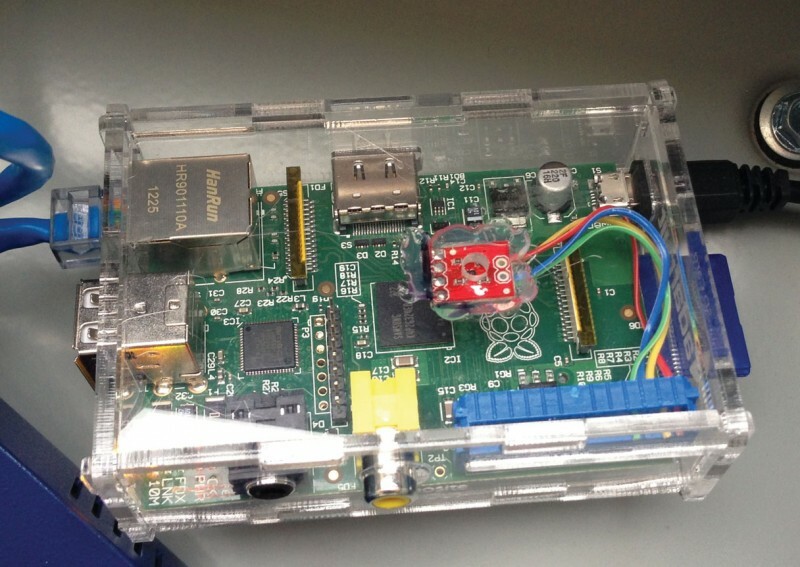 Now I’ll share personal example of the speed and power of open-source hardware and software. About a year ago, I was mucking about with trying to design a low-cost, high-efficiency solar battery charger. Solar panels are really annoying to deal with, and although there are lots of off-the-shelf solutions for big solar panels—say, over 50 W—there isn’t a lot available for 5 W or under. I ended up designing what I thought was a pretty clever battery charger that used off-the-shelf parts and then began selling it in the Adafruit store. A few months later, I got an e-mail from a fellow who had designed a solar-powered cell phone charger and liked the design and efficiency. He had a Kickstarter going to sell them, and just wanted me to know that he had taken the design and remixed it. Some people would consider such a scenario a nightmare: I spent months in the sun tweaking the design and some guy just rips it off to make money. But I thought it was great. In fact, nothing would make me happier than to hear that every design I’ve worked on and published was used to create a useful product. So, on to the future! One thing that makes me most excited is the proliferation of low-cost cell phones that are easy to program (Android in particular). Once you take a programmable cell phone and connect ultra-low-cost sensors, you’ve got a global sensor network—a very powerful tool that enables anyone to measure and monitor the environment. More sensors, more things talking. You’ll hear about the “Internet of Things” a lot more in the future. A lot of OSH makers cross-pollinate from hobbyist projects to manufacturer products to other industries. For instance, you’ll see medical devices get smarter. Quickly being able to pull from a library of open-source projects and make a Kickstarter or some other crowd-funded service will lower the entry barrier for many engineers and makers. Sure, there are challenges once you actually get the funding, but it’s never been a better time to work on OSH and get your designs out there. Previously, capital needed to be raised via venture capitalists, loans, or friends and family. What I like about the future of electronics—and DIY electronics in particular—is that it’s more than just about the physical bits. The OSH movement has a built-in cause: sharing knowledge. If we can all provide a little more value when we make something, we can develop more things by standing on each other’s shoulders and make more engineers who share the same values. 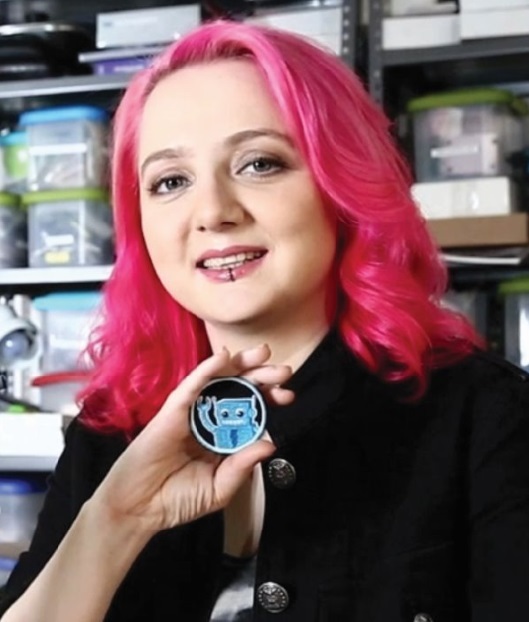 Limor Fried founded Adafruit Industries in 2005. She earned a Bachelor’s in EECS and a Master’s of Engineering from MIT This essay first appeared in CC25 (2011). Clive “Max” Maxfield, who received his BSc in Control Engineering from Sheffield Hallam University in England in 1980, began his career designing CPUs for mainframe computers. But he has branched out far beyond that, becoming a prolific writer of engineering books, an EE Times editor, a blogger, and a designer of “interesting stuff,” from silicon chips to Steampunk “Display-O-Meters,” according to his website. I would say that I have three personal workspaces. But before we talk about my workspaces, it might be appropriate to first mention two of my several projects, which vary from artistic to technological. This is the future home of the Prognostication Engine. One of my projects that is currently in full swing is my Pedagogical and Phantasmagorical Inamorata Prognostication Engine. What do you mean “What’s that when it’s at home?” Isn’t it obvious? The Prognostication Engine is intended to help me predict my wife’s mood. Will the radiance of her smile fall upon me when I return home from work in the evening? 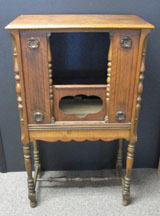 My Prognostication Engine is going to be housed in a beautiful wooden radio cabinet circa 1929. This is going to feature two brass control panels, both of which are going to be festooned with antique knobs and buttons and switches and analog meters (the ones with the black Bakelite bezels). I’m aiming at a Steampunk “look-and-feel” that would not look out of place in a Victorian setting. 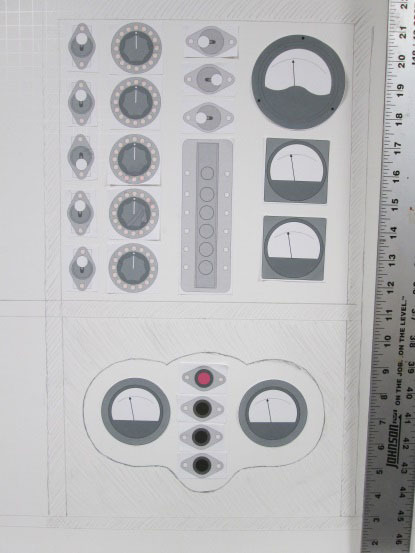 One of the tricks I use when working on this type of project is to first create to-scale Visio drawings of all of the knobs, switches, meter, and so forth, and then I create a full-sized card-and-paper mockup as shown below. This makes it much easier to move things around and experiment with different placements so as to decide on the final layout. Observe the two small pink dots at the top and bottom of each of the vertically-oriented switches and on either side of the horizontally oriented switches and buttons; also the 16 pink dots around each of the five potentiometers. These are going to be faux mother-of-pearl dots, behind which will be tri-colored LEDs implemented using Adafruit’s individual Flora NeoPixels and NeoPixel Rings, respectively. Everything is going to be controlled using an Arduino Mega microcontroller development board. Speaking of control, the potentiometers are going to be motorized, so that if an unauthorized operator tries to modify any of the settings, the other potentiometers will automatically change to compensate (later they will all surreptitiously return to their original settings). Now observe the three black momentary push-buttons located on the lower panel, just under the modestly sized red button (do not press the red button). These equate to gifts of chocolates and flowers and hugs. Judicious use of these buttons increases the chances of happy times; overusing them, however, may trigger the “suspicion of wrongdoing” algorithm. In reality, there’s far too much “stuff” to go into here. Suffice it to say that the large meter in the top right-hand corner of the upper panel will reflect the full range of female emotion, from “Extremely Disgruntled” to “Fully Gruntled” (LOL). While Max wasn’t interested in the $199.95 price, the “seed had been sown,” he says. I decided that the first incarnation of my display would boast a 16 x 16 array of tri-colored LEDs. I decided to use Adafruit’s NeoPixel Strips. Once again, I started by creating a cardboard and paper mockup as shown below. The NeoPixel strips I’m using have 30 pixels per meter. I’m mounting these vertically, which means the vertical separation between adjacent pixels is 33.33 mm. To provide some visual interest, I decided to make the horizontal spacing between columns 50 mm, which is 1.5 times the vertical spacing. In the real version, the cardboard will be replaced by plywood stained to look like expensive old wood. Meanwhile, the main display panel and the smaller control panel will be formed from hardboard painted to look like antique brass. In front of each pixel will be a 1″-diameter brass bezel accompanied by a 1/2″-diameter clear Fresnel lens in the center. 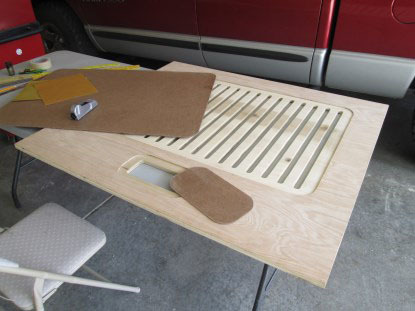 The hardboard panels are going to be attached to the plywood panel using brass acorn nuts. Once again, the finished unit is intended to have a Steampunk look and feel. I’m planning on using an Arduino Mega microcontroller development board to drive the display itself. This will be accompanied by a chipKIT Max32 microcontroller board that will be used to process the stereo audio stream and extract the spectrum data. I would say that my first personal workspace is the Pleasure Dome (my office). Why do I think of this as a personal workspace? Theoretically I work out of a home office. In reality, however, I prefer to rent a room in a building belonging to an engineering company called MaxVision (no relation). 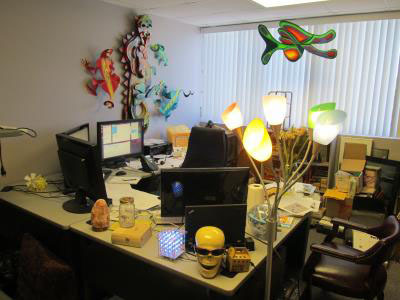 When you cross the office threshold, you enter a small corner of “Max’s World” (where the colors are brighter, the butterflies are bigger, the birds sing sweeter, and the beer is plentiful and cold). One of the walls is lined with wooden bookshelves containing an eclectic mix of science books, technical books, comics, and science fiction and fantasy books and graphic novels. My office is also the repository for all of the antique knobs and switches and analog meters and large vacuum tubes and such that I collect on my travels for use in my projects. Also, I can store (and present) larger objects in the bay outside my office. My second personal workspace is the kitchen table in the breakfast nook at our home. This is where I tend to implement the electronics portions of my projects. At the far end of the table in the image below we see the jig I constructed to hold the two brass control panels for my Inamorata Prognostication Engine project. On the floor in the right-hand side of the image is the tool box that contains my electronics tools including screwdrivers, snip, and suchlike. It also contains my test equipment in the form of a cheap-and-cheerful multimeter from Amazon, along with an iPad-based oscilloscope and an iPad-based logic analyzer, both from Oscium. Observe the plastic storage box on the nearside of the table. I have a separate storage box for each of my projects. Anything associated with a project that’s currently under construction is stored in that project’s box, including any notes I’ve made, any electronic components and their datasheets, and any mechanical parts such as nuts and bolts. I tend to gather everything associated with a particular function or sub-unit together into smaller boxes or plastic Ziploc bags. In the case of my motorized potentiometers, for example, I have the potentiometers along with the appropriate nuts, washers, antique knobs and suchlike all gathered together. I cannot tell you how much time and frustration a bit of organization like this saves you in the long run. 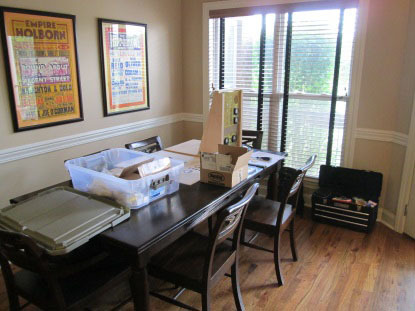 It also make it much easier to pack everything up when my wife, Gina, informs me that she needs the table cleared. Below we see another view of the test jig I constructed to hold the two brass panels for the Prognostication Engine. Creating this jig only took an hour or so, but it makes life so much easier with regard to assembling the electronics and accessing everything while I’m in the prototyping and software experimentation phase of the project. 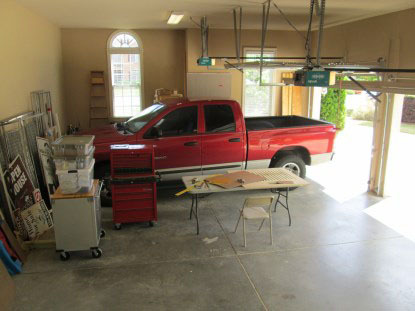 Max’s third personal workspace is his garage. When his family’s three vehicles are parked inside, his projects are packed away in a corner, including tools and tiles for a mosaic he is creating that will feature ceramic tiles fired in his recently purchased kiln. The shelves covered in plastic sheet to the right are where I place my freshly-rolled clay tiles to gradually dry without cracking. 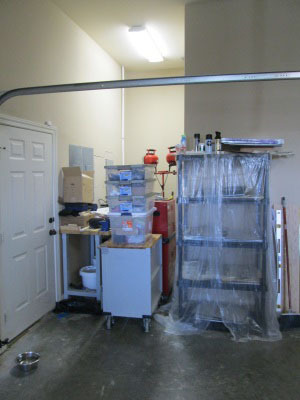 The low-down rolling cabinet in the foreground contains all of my handheld ceramic equipment (shapers and scrapers and rolling pins whatnot) along with general protective gear like face masks and safety goggles. Each of the plastic boxes on top of this cabinet is associated with a currently in-progress project. Behind this cabinet is a red rolling tool cabinet, which contains any smaller power tools, clamps, screwdrivers, wrenches and spanners, and also my soldering station and magnifying lens with helping hands and suchlike. To the right of that tool cabinet is a door (not visible in this picture) to a built-in closet, where I keep my larger power tools such as a diamond saw, desktop grinder, router, and so forth. The image below shows a close-up of the current state-of-play with regard to my BADASS Display. A week ago, I routed out the areas in the big plywood panel that will accommodate the hardboard display and control panels. In this image, I’m poised to mark out the hardboard panels and start drilling the mounting holes along with the 256 holes for the tri-state LEDs. What can I say? Working on my hobby projects is a great way to wind down after a hard day at work, and being in any of my three personal workspaces makes me happy. Editor’s Note: To find out more about Clive “Max” Maxfield, read his 2013 interview in Circuit Cellar. You can follow Max on Twitter @MaxMaxfield. Still contemplating Halloween ideas? Do you have a costume yet? Is your house trick-or-treat ready? Perhaps some of these high-tech costumes and decorations will help get you in the spirit. Recent Circuit Cellar interviewee Jeremy Blum designed a creative and high-tech costume that includes 12 individually addressable LEDs, an Adafruit microcontroller, and 3-D printing. Looking for Halloween decoration inspiration? Peter Montgomery designed some programmable servo animation controllers built around a Freescale Semiconductor 68HC11 microcontroller and a Parallax SX28 configurable controller. 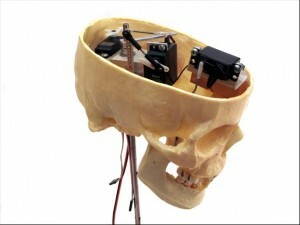 Peter’s Windows-based plastic skull is animated with RC servos controlled via a custom system. It moves at 24 or 30 frames per second over a custom RS-485 network. 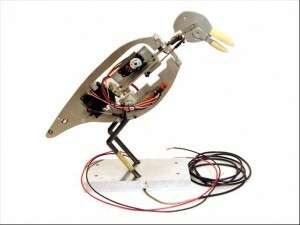 This animatronic talking raven features a machined aluminum armature and moves via RC servos. The servos are controlled by a custom system using Windows and embedded controllers. Peter’s Halloween projects were originally featured in “Servo Animation Controller” (Circuit Cellar 188, 2006). He displays the Halloween projects every year. Feeling inspired? Share your tech-based Halloween projects with us. 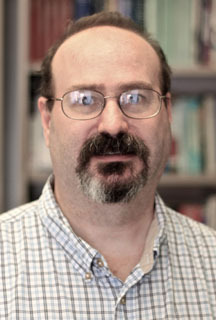 Kevin Marinelli, IT manager for the Mathematics Department at the University of Connecticut, recently answered CC.Post’s newsletter invitation to readers to tell us about their wearable electronics projects. 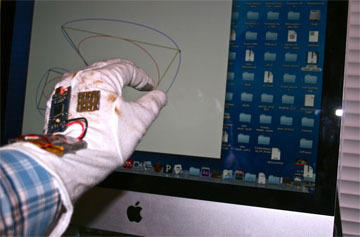 Kevin exhibited his project, “Wireless Data Gloves,” at the World Maker Faire New York in September. He spoke with Circuit Cellar Managing Editor Mary Wilson about the gloves, which are based on an Adafruit ATmega32U4 breakout board, use XBee modules for wireless communication, and enable wearers to visually manipulate data and 3-D graphics. MARY: Tell us a little bit about yourself and your educational and professional background. always been interested in taking things apart and creating new things. My degrees are a Bachelor’s in Computer Science from Dalhousie University in Halifax, Nova Scotia, and a Master’s in Computer Science from the University of New Brunswick in Fredericton, New Brunswick. I am currently working on my PhD in Computer Science at the University of Connecticut (UConn). My first full-time employment was with ITS (the computer center) at Dalhousie University. After eight years, I moved on to an IT management position the Ocean Mapping Group at the University of New Brunswick. I am currently the IT manager for the Mathematics Department at UConn. I am also an active member of MakeHartford, which is a local group of makers in Hartford, Connecticut. MARY: Describe the wireless data gloves you recently exhibited at the World Maker Faire in New York. What inspired the idea? KEVIN: The idea was initially inspired 20 years ago when using a Polhemus 6 Degree-of-Freedom sensor for manipulating computer graphics when I was at the University of New Brunswick. The device used magnetic fields to locate a sensor in three-dimensional space and detect its orientation. The combined location and orientation data provides data with six degrees of freedom. I have been interested in creating six degrees of freedom input devices ever since. With the Arduino and current sensor technologies, that is now possible. MARY: What do the gloves do? What applications are there? Can you provide an example of who might use them and for what purpose? KEVIN: The data gloves allow me to use my hands to wirelessly transmit telemetry data to a base station computer, which collects the data and provides it to any application programs that need it. There are a number of potential applications, such as manipulating 3-D computer graphics, measurement of data for medical applications, remote control of vehicles, remote control of animatronics and puppetry. 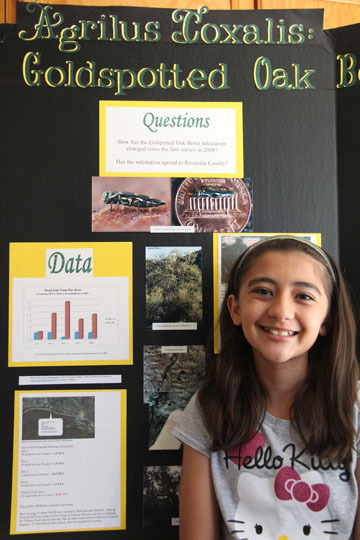 MARY: Can you tell me about the data gloves’s design and the components used? KEVIN: The basic design guidelines were to make the gloves self-contained, lightweight, easy to program, wireless, and rechargeable. 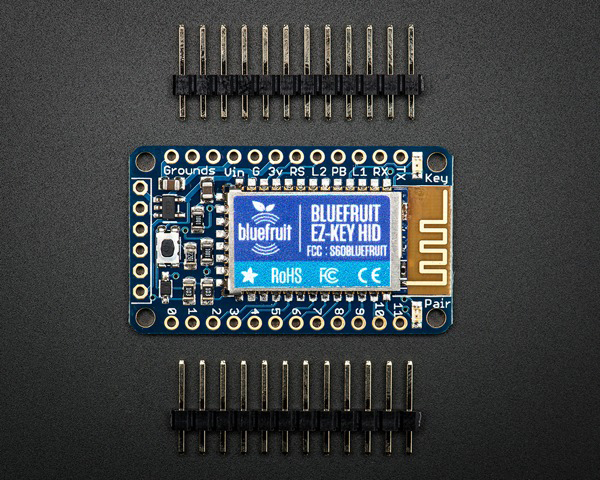 The main electronic components are an Adafruit ATmega32U4 breakout board (Arduino Leonardo software compatible), a SparkFun 9d0f sensor board, an XBee Pro packet radio, a LiPo battery charger circuit, and a LiPo battery. These are all open hardware projects or, in the case of the battery, are ordinary consumer products. The choice of the ATMega32U4 for the processor was made to provide a USB port without any external components such as an FTDI chip to convert between serial and USB communications. This frees up the serial port on the processor for communicating with the XBee radio. because it only requires four connections: two connections for power and two connections for I2C. 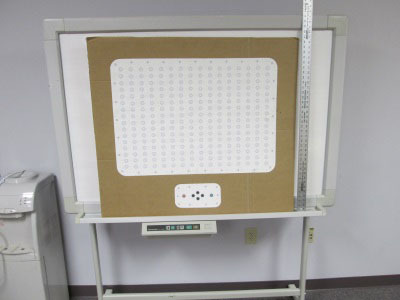 The board has components with readily available data sheets, and there is access to working example code for the sensor board. This reduced the design work greatly by using an off-the-shelf product instead of designing one myself. The choice of an 800-mAh LiPo battery provides an excellent lightweight rechargeable power supply in a small form factor. The relatively small battery powers the project for more than 24 h of continuous use. A simple white cotton glove acts as the structure to mount the electronics. 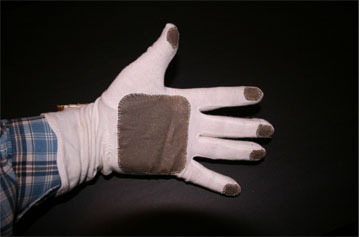 For user-controlled input, the glove has conductive fabric fingertips and palm. Touching a finger to the thumb, or the pad on the palm, closes an electrical pathway, which allows the microcontroller to detect the input. For user-selectable input, each fingertip and the palm of the hand has a conductive fabric pad connected to the Adafruit microcontroller. The thumb and palm act as a voltage source, while the fingertips act as inputs to the microcontroller. This way, the microcontroller can detect which fingers are touching the thumb and the palm pads. Insulated wires of 30 gauge phosphor bronze are sewn into the glove to connect the pads to the microcontroller. MARY: Are the gloves finished? What were some of the design challenges? Do you plan any changes to the design? KEVIN: The initial glove design and second version of the prototype have been completed. The major design challenges were finding a microcontroller board with sufficient capabilities to fit on the back of a hand, and configuring the XBee radios. The data glove design will continue to evolve over the next year as newer and more compact components become available. Initially I was designing and building my own microcontroller circuit based on the ATmega32U4, but Adafruit came out with a nice, usable, designed board for my needs. So I changed the design to use their board. SparkFun has a well-designed micro USB-based LiPo battery charger circuit. This would have been ideal for my project except that it does not have an On/Off switch and only has some through-hole solder points for powering an external project. I used their CadSoft EAGLE files to redesign the circuit to make it slightly more compact, added in a power switch and a JST connector for the power output for projects. The XBee radios were an interesting challenge on their own. My initial design used the standard XBee, but that caused communication complications when using multiple data gloves simultaneously. In reading Robert Faludi’s book Building Wireless Sensor Networks: With ZigBee, XBee, Arduino, and Processing, I learned that the XBee Pro was more suited to my needs because it could be configured on a private area network (PAN) with end-nodes for the data gloves and a coordinator for the base station. 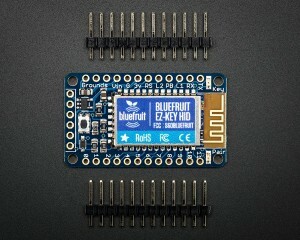 One planned future change is to switch to the surface-mount version of the XBee Pro. This will reduce both the size and weight of the electronics for the project. The current significant design challenge I am working on is how to prevent metal fatigue in the phosphor bronze wires as they bend when the hand and fingers flex. The fatigue problem occurs because I use a small diamond file to remove the Kapton insulation on the wires. This process introduces small nicks or makes the wires too thin, which then promotes the metal fatigue. A third version is in the design stage. The new design will replace the SparkFun 9dof board with a smaller single-chip sensor, which I hope can be mounted directly on the Adafruit ATmega32U4 board. MARY: What new skills or technologies did you learn from the project, if any? KEVIN: Along the way to creating the gloves, I learned a great deal about modern electronics. My previous skills in electronics were learned in the ’70s with single-sided circuits with through-hole components and pre-made circuit boards. I can now design and create double-sided circuit boards with primarily surface-mounted components. For initial prototype designs, I use double-sided photosensitized circuit boards and etch them at home. Learning to program Arduino boards and Arduino clones has been incredible. The fact that the boards can be programmed using C in a nice IDE with lots of support libraries for common programming tasks makes the platform an incredibly efficient tool. Having an enormous following makes it very easy to find technical support for solving problems with Arduino products and making Arduino clones. Wireless networking is a key component for the success of the project. I was lucky to have a course in wireless sensor network design at UConn, which taught me how to leverage wireless technology and avoid many of the pitfalls. That, combined with some excellent reference books I found, insured that the networking is stable. 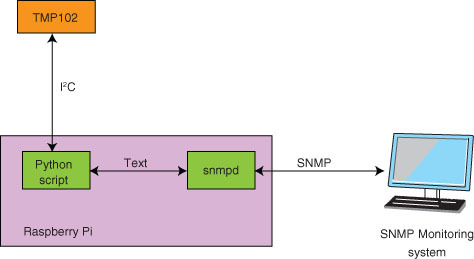 The network design provides for more network bandwidth than a single pair of data gloves require, so it is feasible to have multiple people collaborating manipulating the same on the same project. Designing microcontroller circuits using EAGLE has been an interesting experience. While most of the new components I use regularly in designs are available in libraries from Adafruit and SparkFun, I occasionally have to design my own parts in EAGLE. Using EAGLE to its fullest potential will still take some time, but I have become reasonably proficient with it. For soldering, I mostly still use a standard temperature controlled soldering iron with a standard tip. Amazingly, this allows me to solder 0402 resistors and capacitors and up to 100 pitch chips. When I have components that need to be soldered under the surface, I use solder paste and a modified electric skillet. This allows me to directly control the temperature of the soldering and gives me direct access to monitoring the process. The battery charger circuit on my data glove is hand soldered and has a number of 0402-sized components, as well as a micro USB connector, which also is a challenge to hand solder properly. MARY: Are there similar “data gloves” out there? How are yours different? 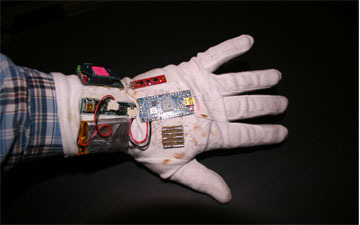 There are a number of data glove projects, which can be found on the Internet. Some are commercial products, while others are academic projects. My gloves are unique in that they are lightweight and self-contained on the cotton glove. 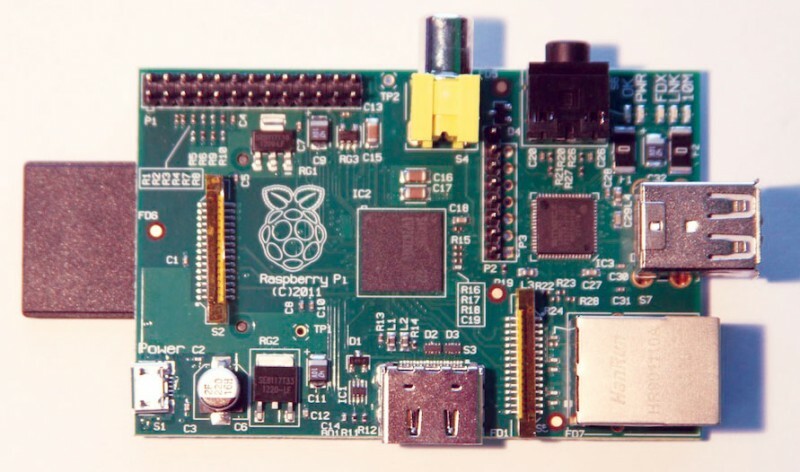 All other projects that you can find on the Internet are either hard-wired to a computer or have components such as the microcontroller, batteries, or radio strapped to the arm or body. Also, because the main structure is a self-contained cotton glove; the gloves do not interfere with other activities such as typing on a keyboard, using a mouse, writing with a pen, or even drinking from a glass. This was quite handy when developing the software for the glove because I could test the software and make programming corrections without having the inconvenience of putting the gloves on and taking them off repeatedly. MARY: Are you working on any other projects you’d like to briefly tell us about? KEVIN: At UConn, we are lucky to have one of the few academic programs in puppetry in the US. In the spring, I plan on taking a fine arts course at UConn in designing and making marionette puppets. This will allow me to expand the use of my data gloves into controlling and manipulating puppets for performance art. I am collaborating on designing circuit boards with a number of people in Hartford. The more interesting collaborations are with artists, where they think differently about technology than I do. Balam Soto of Open Wire Labs is a new media artist and one of the creative artists I collaborate with regularly. 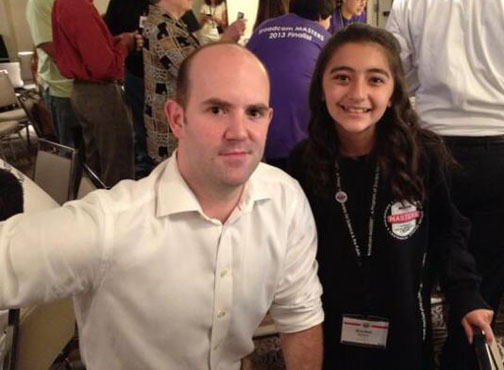 He is also a member of MakeHartford and presents at Maker Faires. 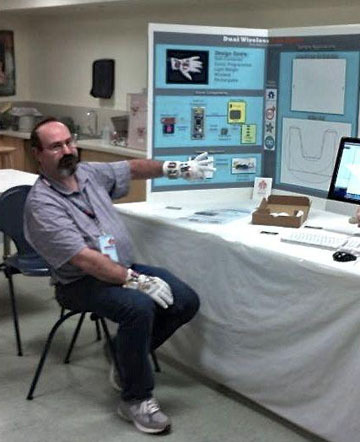 MARY: What was the response to the wireless data gloves at World Maker Faire New York? KEVIN: The response to the data gloves was overwhelmingly positive. People were making comparisons to the Nintendo Power Glove and to the movie “Minority Report.” Several musicians commented that the gloves should be excellent for performing and recording virtual musical instruments such as a guitar, trumpet and drums. For the demonstration, I showed a custom application; which allowed both hands (or two people) to interactively manipulate points and lines on a drawing. Many people were encouraged to use the gloves for themselves, which enhanced the quality of the feedback I received. The gloves are large-sized to fit my hands, which was quite a challenge for younger children to use because their hands were “lost” in the gloves. Even with the size challenge, it was fun watching younger children manipulating the objects on the computer screen. I look forward to the Maker Faire next year, when I will have implemented the newer design for the data gloves and will have additional software to demonstrate. I plan on trying to put together a presentation on some form of performance art using the data gloves. Ready to take a look at the past, present, and future of embedded technology, microcomputer programming, and electrical engineering? CC25 is now available. Check out the issue preview. rapid prototyping platforms to 8-bit chips to FPGAs. The issue’s content is gathered in three main sections. Each section comprises essays, project information, and interviews. In the Past section, we feature essays on the early days of Circuit Cellar, the thoughts of long-time readers about their first MCU-based projects, and more. For instance, Circuit Cellar‘s founder Steve Ciarcia writes about his early projects and the magazine’s launch in 1988. Long-time editor/contributor Dave Tweed documents some of his favorite projects from the past 25 years. 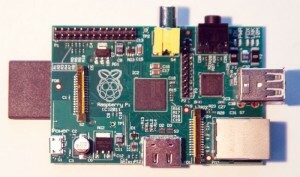 The Present section features advice from working hardware and software engineers. Examples include a review of embedded security risks and design tips for ensuring system reliability. We also include short interviews with professionals about their preferred microcontrollers, current projects, and engineering-related interests. The Future section features essays by innovators such as Adafruit Industries founder Limor Fried, ARM engineer Simon Ford, and University of Utah professor John Regehr on topics such as the future of DIY engineering, rapid prototyping, and small-RAM devices. The section also features two different sets of interviews. In one, corporate leaders such as Microchip Technology CEO Steve Sanghi and IAR Systems CEO Stefan Skarin speculate on the future of embedded technology. In the other, engineers such as Stephen Edwards (Columbia University) offer their thoughts about the technologies that will shape our future. As you read the issue, ask yourself the same questions we asked our contributors: What’s your take on the history of embedded technology? What can you design and program today? What do you think about the future of embedded technology? Let us know. In celebration of Circuit Cellar’s 25th year of publishing electrical engineering articles, we’ll release a special edition magazine around the start of 2013. The issue’s theme will be the past, present, and future of embedded electronics. World-renowned engineers, innovators, academics, and corporate leaders will provide essays, interviews, and projects on embedded design-related topics such as mixed-signal designs, the future of 8-bit chips, rapid prototyping, FPGAs, graphical user interfaces, embedded security, and much more. INFOGRAPHICS depicting tech-related likes, dislikes, and ideas of hundreds of engineers. All Circuit Cellar subscribers will receive the 25th Anniversary issue. Additionally, the magazine will be available online and promoted by Circuit Cellar’s parent company, Elektor International Media. Want to get involved? Sponsorship and advertising opportunities are still available. Find out more by contacting Peter Wostrel at Strategic Media Marketing at 978-281-7708 (ext. 100) or peter@smmarketing.us. Inquire about editorial opportunities by contacting the editorial department. Steve Ciarcia launched Circuit Cellar magazine in 1988. 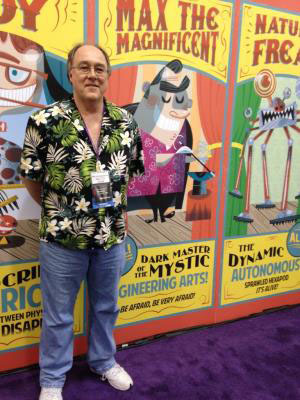 From its beginning as “Ciarcia’s Circuit Cellar,” a popular, long-running column in BYTE magazine, Ciarcia leveraged his engineering knowledge and passion for writing about it by launching his own publication. Since then, tens of thousands of readers around the world have come to regard Circuit Cellar as the #1 source for need-to-know information about embedded electronics, design, and programming.